The Western Brown High School team. From left, legal adviser Nick Owens, legal adviser Zach Corbin, Mackenzie Young, Alaina Cowdrey, Nicki Jenkins, Maria Bohrer, Alexis Zinkhen, Dana Buttree, Cora Propes, and teacher Melissa Brown. The Milford High School team. From left, Nicole Bauer, Grace Miller, Sydney Pachta, Elyse Flannery and Anna Rustom. 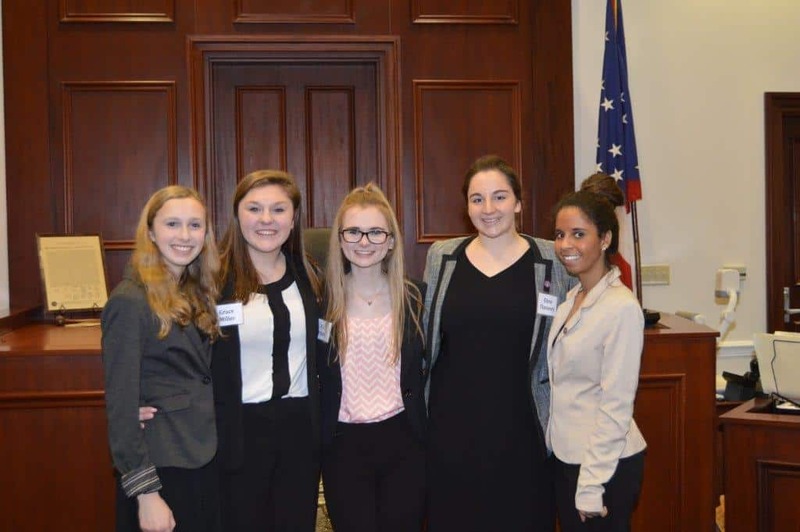 BATAVIA, Ohio (March 28, 2016) — This year, Clermont County had the honor of hosting teams which were competing in the Ohio state high school mock trial competition. This marks the 20th consecutive year that Clermont County has hosted one of the Ohio high school district or regional mock trial competitions. The set-up for the high school mock trial competition is as follows: Teams compete in a district competition. Teams that win two trials in the district competition advance to a regional competition. Teams that win two trials in the regional competition advance to the state competition. The teams keep competing at the state competition until there is a championship round and one team then wins. This year, the winner of the state competition was Orange High School from the Cleveland area, which defeated Dayton Early College in the championship round. As the overall winner, Orange will compete in the national high school mock trial competition in May in Boise, Idaho. High schools competing in the Clermont County district competition, which was held on Jan. 29, were Amelia, Batavia, Eastern Brown, Fayetteville-Perry, Georgetown, Milford (two teams), Moeller (two teams), North Adams, Reading (two teams), Walnut Hills (three teams), Western Brown, and Williamsburg. High schools that won two trials and advanced to the state competition were Reading (two teams), Walnut Hills (two teams), Western Brown, and Moeller. High schools competing in the Clermont County regional competition, which was held on Feb. 19, were Elder (two teams), Indian Hill (four teams), LaSalle, McNicholas, Mother of Mercy, Oak Hills (two teams), Reading (two teams), Seven Hills, Summit Country Day, Sycamore, and Walnut Hills (two teams). High schools that won two trials and advanced to the state competition were Indian Hill (four teams), Reading, McNicholas, and Oak Hills. The Ohio high school mock trial program helps students to develop critical thinking skills by analyzing a problem and developing arguments for each side of it. It also promotes citizenship education and active participation in democracy. 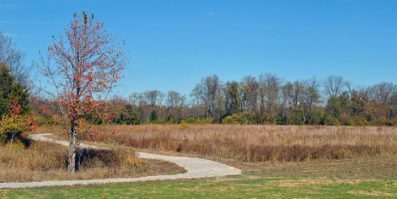 The 2016 Ohio high school mock trial case involved a police officer who shot a young man on the shoulder while on the scene of a suspected armed robbery. The case focused on whether the use of deadly force by the officer was justified under the Fourth Amendment to the U.S. Constitution. In the Ohio high school mock trial competition, students assume the roles of witnesses and attorneys to present both sides of a case. Local judges and attorneys volunteer their time and expertise to preside over and score the mock trials. The Ohio High School Mock Trial Program is Ohio’s largest high school academic competition and is among the largest high school mock trial programs in the nation. This year, 376 teams competed in Ohio. The Ohio High School Mock Trial Program is sponsored by the Ohio Center for Law-Related Education (OCLRE), a private non-profit, nonpartisan organization whose goal is to improve society by developing citizens empowered with an understanding of our democratic system. OCLRE is sponsored by the Ohio State Bar Association, The Supreme Court of Ohio, the Ohio Attorney General’s Office, and the American Civil Liberties Union of Ohio Foundation. The Ohio High School Mock Trial Program is made possible in part by a grant from the Ohio State Bar Foundation. The Clermont County district and regional mock trial competitions are sponsored by the Clermont County Common Pleas Court, Clermont County Municipal Court, and the Clermont County Bar Association. 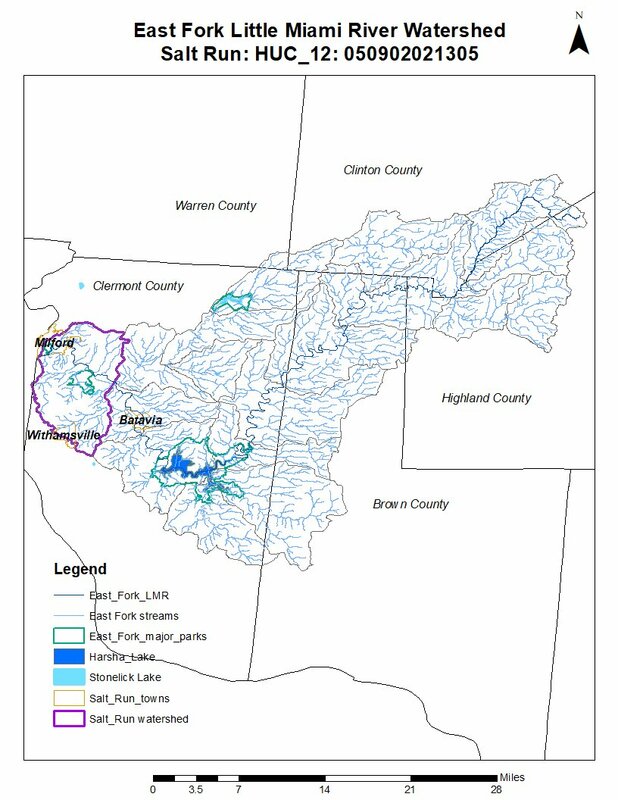 Local funding is provided by the Clermont County Bar Association. 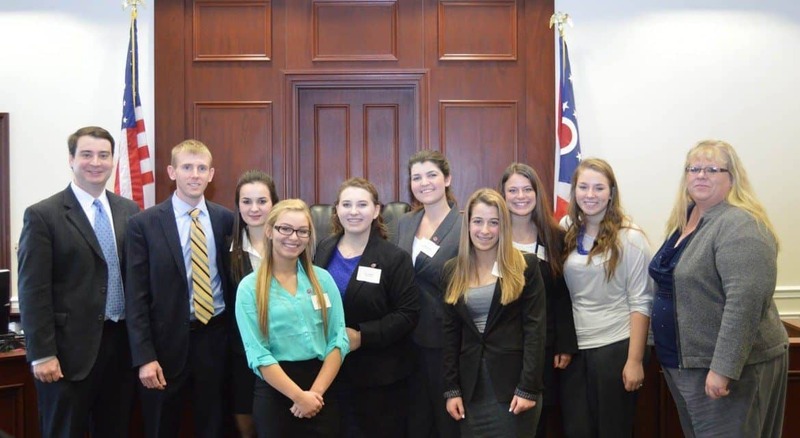 The Ohio high school mock trial program began in 1983-84 with 28 teams competing statewide. This year, more than 3,000 students competed in the district competitions.